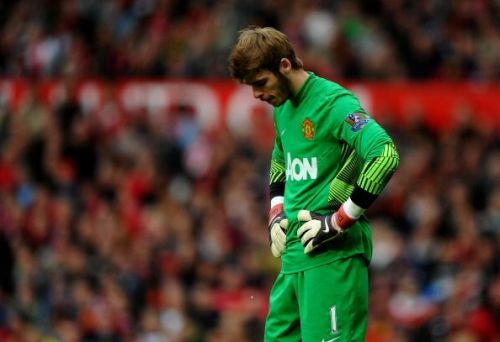 These days, it's hard to believe that David De Gea actually struggled for a period at Manchester United. Now firmly ensconced as the world's best goalkeeper, De Gea has arguably become United's most prized asset. This summer the club again resisted overtures from Real Madrid to keep hold of the Spaniard and it's not hard to see why. The scary thing is at 27 there may actually be more to come from De Gea. In goalkeeping terms at least (goalkeepers tend to have longer careers than outfield players for obvious reasons), De Gea may not reach his peak for a good few years. Edwin Van Der Sar actually performed better in his twilight years for Manchester United then he had at any other point in his career, though right now it's hard to see how De Gea can improve. 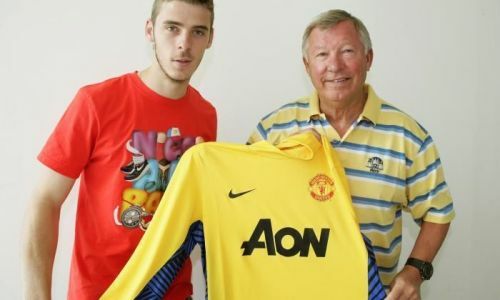 David de Gea was signed by Sir Alex Ferguson for £ 18.9 million, the then 2nd costliest goalkeeper fee after Buffon in 2001. The Spaniard was a product of the famed Atletico Madrid youth academy and was brought in as a replacement for United legend Edwin Van der Saar. Of course, it's worth remembering that De Gea didn't always thrive and prosper at United. He was one of Sir Alex's final ever signings in 2011 and was selected, because in Sir Alex's words: "he can be our keeper for the next 20 years", a prophecy which looks like it may come true 7 years on, given that De Gea is still at the club. Though Fergie signed many great players for United, one of his blind-spots was definitely signing keepers (Massimo Taibi, Roy Carroll and Mark Bosnich were some of his less successful signings). However, those failed signings were certainly offset by the fact that he signed 3 of the best goalkeepers in United's history, Peter Schmeichel, Van Der Sar and of course De Gea. Back in 2011, though the young Spaniard showed great promise, he was criticised for a supposed susceptibility to dealing with crosses and corners. On his debut against Manchester City in the Community Shield he was at fault for their two goals (thankfully United produced a trademark comeback to eventually win 3-2). His struggles continued in his Premier League debut against West Brom where he inexplicably let a tame Shane Long shot go through him to gift West Brom an equaliser. Again though, he was bailed out as United edged the game 2-1. In this early days at United, it was actually United's attacking prowess that bailed De Gea out at times as he made a number of mistakes in his early games though even then his aptitude for shot stopping was evident. The irony is that these days De Gea bails out United due to their attacking deficiencies. The tables have well and truly been turned. De Gea had a decent first season at United, but in the following season, Sir Alex's last (2012/13), he suffered the ignominy of being usurped by Anders Lindegaard as the club's number one. Considering the heights De Gea has reached now, it's hard to believe that something as embarrassing as that ever happened. Lindegaard was last seen as a reserve at Burnley and he couldn't even get a game there. Of course, De Gea regained his place later on in the season (after Lindegaard had a nightmare in a topsy-turvy 4-3 win over Reading) and has been the first choice ever since. Indeed, since Sir Alex left, De Gea has been the club's best player by some distance and has actually got better with each successive season. He was one of the few players to emerge with credit in David Moyes' disastrous season in 2013/14 and performed similar heroics under Louis Van Gaal. If anything, De Gea has got even better under Jose Mourinho as he has been called upon more often than he was under Fergie, despite the Scot's attacking philosophy of football being anathema to Mourinho's pragmatic, ultra-defensive approach. Of course, this could have something to do with the fact that he had Ferdinand, Vidic and Evra protecting him under Sir Alex and under Mourinho he's has the comparatively lightweight trio of Bailly, Lindelof and Smalling to bail him out. Indeed, as the Spaniard has been called upon more often, maybe that has made him an even better goalie. He broke the record for the most saves in a Premier League game (at least since Opta began collecting statistics in 2003/04) against Arsenal in a quite remarkable 3-1 win for United. 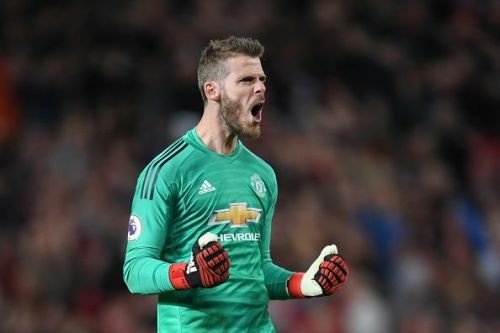 Last season, he won the golden glove for the first time and also recorded his season-high tally of clean sheets for United in all competitions (22). These days, De Gea is the first name on the teamsheet and virtually never misses a game which is a far cry from his early struggles at United. Given the bluntness of United's attack, United will no doubt heavily rely on the Spaniard this season as they seek to reclaim the Premier League. Is a David De Gea-Thibaut Courtois swap an ideal one for both clubs?